West Bengal Assembly Election 2016 Dates, West Bengal Vidhan Sabha Election 2016 Dates, West Bengal Vidhan Sabha Vote 2016 Schedule, West Bengal Assembly Poll 2016 date sheet, Nomination date, Nomination withdrawal date for 2016 West Bengal Assembly Election, Paschimbanga Vidhan Sabha Vote 2016 TMC candidate names, Paschimbanga Bidhansabha Vote 2016 dates & CPIM, TMC, BJP and Congress Party candidate names in 2016 Bengal Bidhansava Poll. Today on 4th March 2016, Election Commission of India has declared the Dates of West Bengal Legislative Assembly Election 2016. The Bengal Vidhan Sabha (Bidhansava) 2016 Vote will be taken in 6 Phases and on different 7 Days. 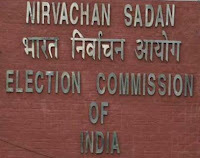 Yes, Election Commission of India has announced that West Bengal Assembly Election (Vidhan Sabha Vote 2016) will be held in six phases and will start on & from 4th April 2016. The last phase of Paschimbanga Vidhan Sabha Vote 2016 will be taken on 5th May 2016. It means, a month of time taken for West Bengal Assembly Poll 2016 surprisingly. Let's check out the dates below. Along with the Election Date of different phases of West Bengal Assembly Poll 2016, here we will also check out the candidate nomination submission date, Nominated candidate scrutiny date and withdrawal of nominated candidate date for different phases of West Bengal Vidhan Sabha Vote 2016. Total Number of Assembly Constituencies in West Bengal: 294. West Bengal Assembly Election 2016 number of Phases: 6 (18 seats, 56 seats, 62 seats, 49 seats, 53 seats, and 56 seats). 2016 West Bengal Assembly Election Issue Date of Gazette Notification: March 11th & 14th for 1st Phase, March 22nd for 2nd Phase, March 28th for 3rd Phase, April 1st for 4th Phase, April 4th for 5th Phase, and April 7th for 6th Phase. 2016 West Bengal Vidhan Sabha Vote Last Date for Nomination submission: March 18&21, March 29, April 4, April 8, April 11. Date for Scrutiny of Nominations of 2016 Bengal Bidhansabha Poll: March 19&22, March 30, April 5, April 9, April 19. Last date for withdrawal of Candidatures (Nomination) from 2016 West Bengal Assembly Election: March 21&26, April 1, April 7, April 11, April 21. 1st Phases: West Bengal Assembly Election 2016 [Paschimbanga 2016 Vidhan Sabha Vote / Bengal Bidhansabha Poll 2016] will be taken in two dates - 4th April 2016 and 11th April 2016. 2nd Phase: West Bengal Assembly Election 2016 [Paschimbanga 2016 Vidhan Sabha Vote / Bengal Bidhansabha Poll 2016] will be taken on 17th April 2016. 3rd Phase: West Bengal Assembly Election 2016 [Paschimbanga 2016 Vidhan Sabha Vote / Bengal Bidhansabha Poll 2016] will be taken on 21st April 2016. 4th Phase: West Bengal Assembly Election 2016 [Paschimbanga 2016 Vidhan Sabha Vote / Bengal Bidhansabha Poll 2016] will be taken on 25th April 2016. 5th Phase: West Bengal Assembly Election 2016 [Paschimbanga 2016 Vidhan Sabha Vote / Bengal Bidhansabha Poll 2016] will be taken on 30th April 2016. 6th Phase: West Bengal Assembly Election 2016 [Paschimbanga 2016 Vidhan Sabha Vote / Bengal Bidhansabha Poll 2016] will be taken on 5th May 2016. West Bengal Assembly Election 2016 [Paschimbanga 2016 Vidhan Sabha Vote / Bengal Bidhansabha Poll 2016] Vote Counting & Result declaration (announcement) will be on 19th May 2016. District wise Dates of 2016 West Bengal Assembly Election. Assembly Constituency name wise Date of 2016 Bengal Vidhan Sabha Vote. TMC Party nominated candidate name list of 2016 West Bengal Assembly Election. CPIM Party nominated candidate name list of 2016 West Bengal Assembly Poll. Congress Party nominated candidate name list of 2016 West Bengal Assembly Vote. BJP Party nominated candidate name list of 2016 West Bengal Vidhan Sabha Vote. CPIM and Congress making Alliance are contesting together against ruling TMC in 2016 Paschimbanga Vidhan Sabha Vote. It will be worth to see, how many assembly seats will Congress & CPIM alliance win and how many assembly seats TMC wins in upcoming Bengal Assembly Election 2016.